Geckos are lizards which are usually found in warm regions, where the most common ones can often be found within houses. Geckos often occur in sizes between 1-60cm, and are mostly nocturnal. 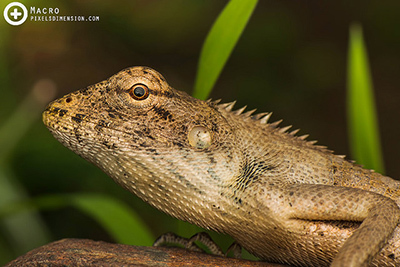 These tiny lizards have excellent eyesights which are highly adaptable to ambient light. 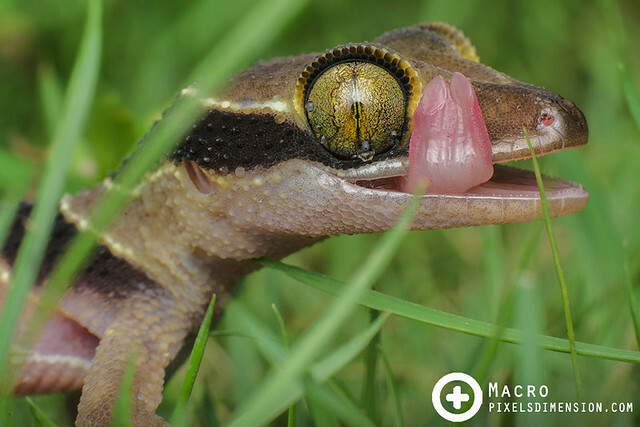 Most geckos do not possess eyelids and thus do not blink: they clean their eyes using their tongues. Geckos are also equipped with “sticky” footpads on their toes which allow them to climb walls and ceilings effortlessly. When threatened, geckos are also known to lose their tails in defence (called autotomy) in order to distract the predator. #1. 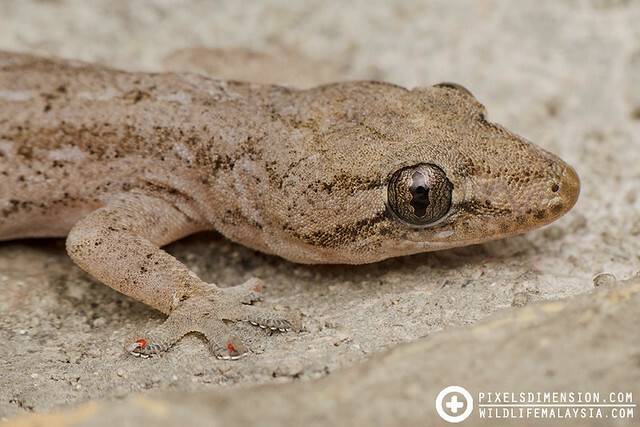 A common Spiny-tailed gecko (Hemidactylus frenatus ?). This common gecko can usually be found on walls or ceilings of houses, waiting for insects to drop by before ambushing them. #2. A Malayan Forest Gecko (Cyrtodactylus pulchellus). 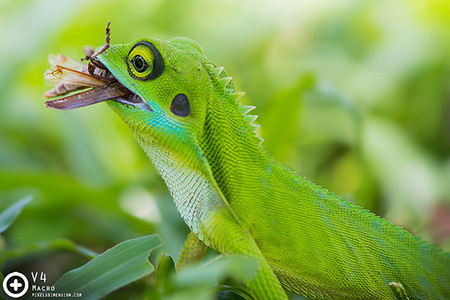 Since most geckos do not have eyelids, they have to rely on their tongue to clean their eyes. In this case, this Malayan Forest Gecko was trying to clean water droplets stuck on its eye. #3. A common house gecko getting stuck in the basin- not an uncommon sight. 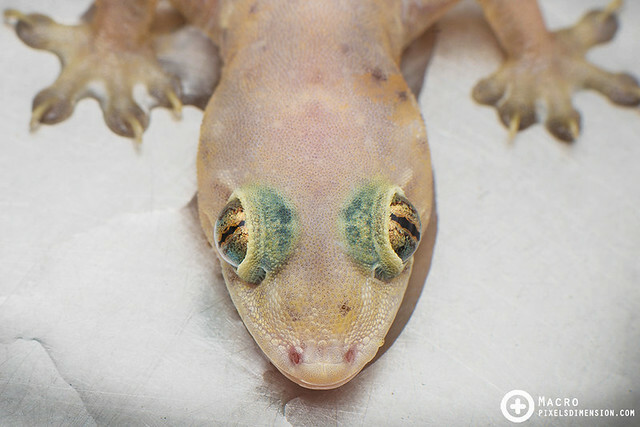 Note the irises (eye slits) of the gecko, which appear to be different in thickness due to the different brightness coming from both sides. #4. 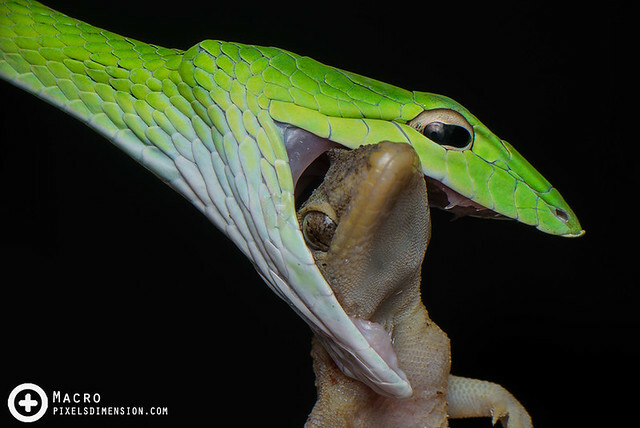 A gecko being eaten by a Malayan Vine Snake. Geckos are usually nocturnal, and are often hunted by snakes during the night. #5. A gecko climbing a class. Most geckos are capable of climbing walls and ceilings thanks to their specialized, adhesion-capable toes. 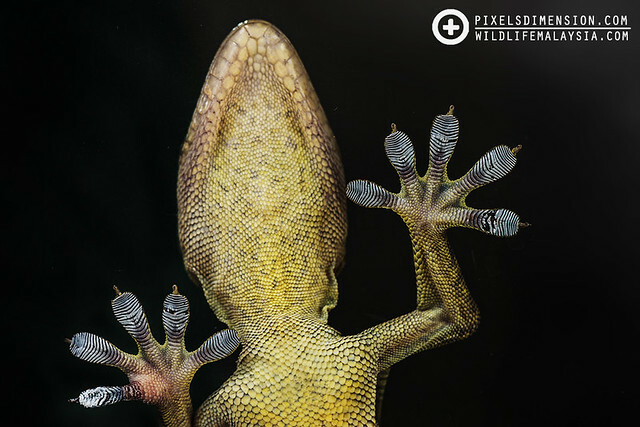 The footpads on each toe are able to form attractive forces with the surfaces which are strong enough to support the weight of the entire gecko body. The strength of adhesion will increase when water is present in minute quantity.